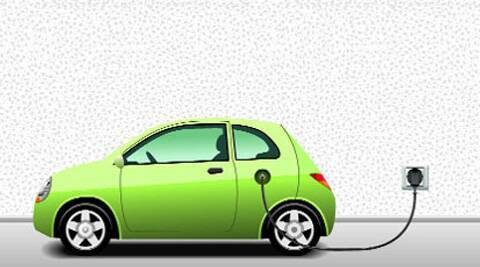 Move to give boost to M&M, Tata Motors, both of which have been developing XeV technologies. The ministry of heavy industries and the auto industry have now agreed on the subsidy ceiling for XeVs with a view to pushing demand for the nascent segment. They hope this will result in a manufacturing and research base for vehicles running on alternative/eco-friendly fuels. The move will give a boost to homegrown auto majors Mahindra & Mahindra and Tata Motors, both of which have been developing electric and hybrid technologies. M&M, which has launched the e2o electric car is waiting for incentives before it launches other XeV models like an electric Verito and Maxximo LCV. Tata has already developed a CNG-hybrid bus, running in Madrid, but is yet to be sold in India because of the high price of over R1 crore. XeV cars and SUVs, which are priced at R7.5 lakh onwards, are expected to get subsidised by up to R1.5 lakh, while XeV bikes and scooters (starting R40,000) will likely get subsidised to a maximum of R30,000. Hybrid buses will get a big boost with a planned subsidy ceiling of around Rs 12 lakh, while XeV light commercial vehicles will likely get subsidised by Rs 1 lakh. The exact subsidy will depend on various factors like range, battery size and the actual factory price of the vehicle. “The idea is that 30-40% of the price differential of XeV over petrol/diesel cars will be met by the subsidy. After that, such vehicles make sense because the running cost is very low. The subsidy is expected to cost the government abut Rs 12,000 crore over six years,” a government official told FE. As per the plan, the Centre is expected to directly re-imburse the automaker for every XeV sold through an online platform. “There will be two things needed for proof of sale. First, at the factory gate where the excise duties are paid and then, the registration for the vehicle,” the source said. The incentives are part of the National Electric Mobility Mission Plan 2020 announced by Prime Minister Manmohan Singh in January last year to reduce dependence on imported oil and supplement efforts for a greener transport system. The mission is expected to require a total investment of over Rs 23,000 crore from both the government and the industry. Originally expected to be implemented from April 2013 in a phased manner, the estimate as per a Booz & Co study is that a market for 6-7 million electric vehicles could be created by 2020 resulting in fuel savings of 2.2-2.5 million tonnes.